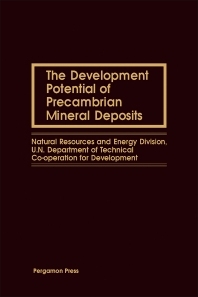 The Development Potential of Precambrian Mineral Deposits covers several aspects of Precambrian mineral resource potential and assessment towards mineral exploration and mineral reserves. This book contains 27 chapters and begins with an overview of the world production and consumption of certain minerals. The next chapters describe the physical and chemical characteristics of certain mineral ores, as well as the mineral content of certain rock assemblages. These topics are followed by discussions of the geographical distribution of some ores, including discovered metal bearing zones in Africa. Considerable chapters are devoted to exploration techniques in tropical, temperate, and sub-arctic Precambrian areas. The remaining chapters examine the action of metamorphic and other geological processes in mobilizing ore minerals. The book will prove useful to geologists, researchers, and geology students.